*The increase in total cases compared with the total released on October 22, 2014, results from a more comprehensive assessment of patient databases. The additional 3792 cases have occurred throughout the epidemic period. **The outbreaks of Ebola Virus Disease (EVD) in Senegal and Nigeria were declared over on 17 October and 19 October 2014, respectively. 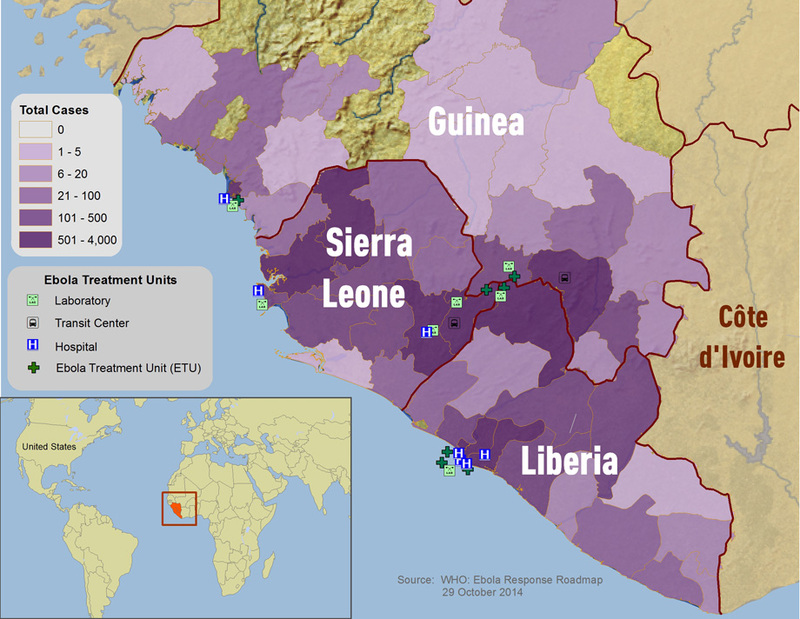 A national EVD outbreak is considered to be over when 42 days (double the 21-day incubation period of the Ebola virus) has elapsed since the last patient in isolation became laboratory negative for EVD.